The New York chapter of Kollaboration, a national nonprofit organization dedicated to empowering Asian-American performers, will hold its annual showcase this Saturday at New York University Skirball Center for the Performing Arts. Aside from being the organization's biggest event of the year, the showcase is also the nation's premiere talent competition showcase for rising Asian-American performing artists. "The point of Kollaboration is to help artists break into mainstream media and in order to do that we want for the majority of the audience to recognize that these entertainers are part of their community," Tanner Chung, executive director of the New York branch of Kollaboration said. "Our target audience is kind of generic in the fact that we try to get the entire community to come to our events because the objective is not to produce a show where its strictly for Asian-Americans. It's to produce a show that the entire community can enjoy." 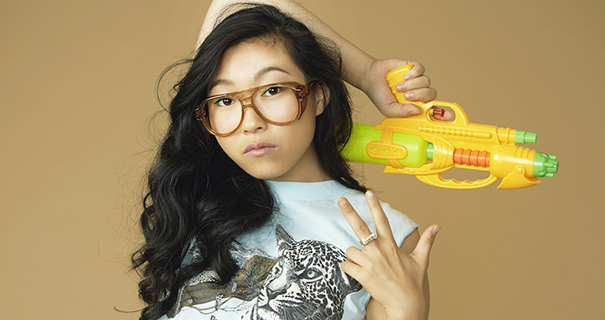 Headlining the showcase will be Asian-American rapper Awkwafina. Other guest performers include dance group I Love Dance and Kollaboration New York 8's winner IZZY. Six talented finalists from the Tri-state region, ranging from singer-songwriters to classical music groups, will compete against each other for a comprehensive winner's package. The showcase winner will also win a chance to fly to Los Angeles to compete in the national Kollaboration Star show against other local winners for a grand prize of $10,000. "I want people to see the diversity of the talent because I think it changes every year," Awkwafina said. 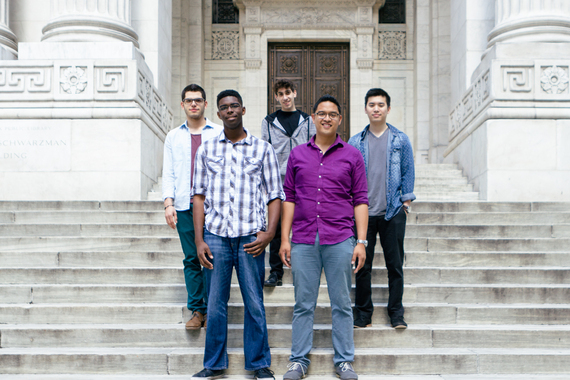 "I think people will be able to see the range of what Asian- Americans are doing in 2014." Awkwafina will be headlining this year's Kollaboration. Born Nora Lum, Awkwafina arrived on the music scene in October of 2012. The 26-year old never planned on becoming a rapper and described the career move as something that just "kind of happened." There was really no practical method in choosing her stage name, Awkwafina, she added. Just something of an alter ego she had when attending high school. "I started making beats when I was 17 and I needed a voice to fill the beats, so it started out like that," Awkwafina said. "Eventually, I started to actually enjoy rapping." For Awkwafina, as an Asian-American it's important to maintain a degree of visibility and be able to relate to her fans, as well as others. "I feel that its important for me to be out there and to represent the face," Awkwafina said. 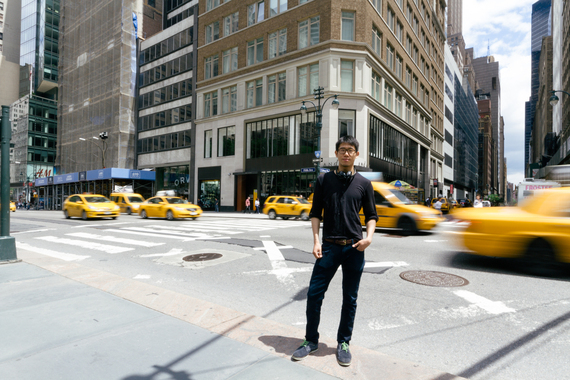 "At the same time for me as an individual, I think the Asian-American face can be crowded with the American identity. More than anything I'm an American kid and my music reflects that more so than being an Asian-American. I think it's important, but also something that can detrimental to your career if celebrated too much." Beatboxer and one of six finalists performing at Kollaboration's showcase, Sung Lee, added that the Asian-American community is definitely underrepresented and needs more exposure in mainstream media. "From my personal experience, I don't think looking Asian-American has hurt me. In fact, I think it sometimes can be beneficial," Lee said. "Due to people's preconceived notions of Asian people, they do not expect me to be a good beatboxer when I step on stage. Since I don't fit the stereotypical image of a beatboxer, it really catches them off-guard when they actually hear me." This "surprise" factor, as Lee called it, was an advantage for him in the "Amateur Night at the Apollo" competition that he was currently a part of. The competitors were predominately African-American, and looking Asian helped him stand out a bit. Being Korean-American, Lee had always known about Kollaboration since he was a teenager. He always wanted to someday compete in the showcase and had auditioned this past March, was selected as a finalist, and has been on an exciting journey ever since. "I hope to win the show and eventually go to LA for the grand finals and win that as well," Lee said. "In all seriousness, I want the audience to enjoy the music. I want to light up venue like it's a club. I want them to dance and just have a blast because at the end of the day, it's all about the music." General admission tickets are $20. VIP tickets are $40. All tickets are available for purchase online at www.kollaborationnewyork.org/tickets.